The Royal Edinburgh Military Tattoo is an annual series of Military tattoos performed by British Armed Forces, Commonwealth and International military bands, and display teams on the esplanade of Edinburgh Castle in the Scottish capital of Edinburgh. 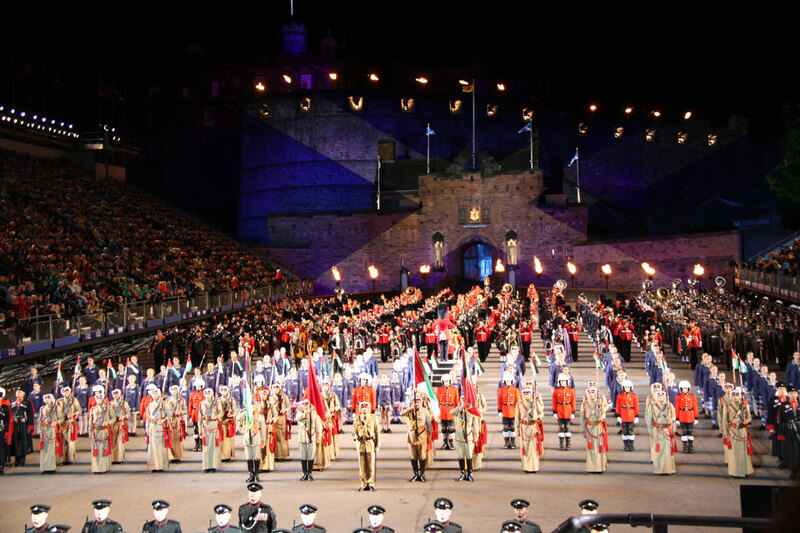 Scotland’s famous Royal Edinburgh Military Tattoo is known as the “greatest show on earth”. 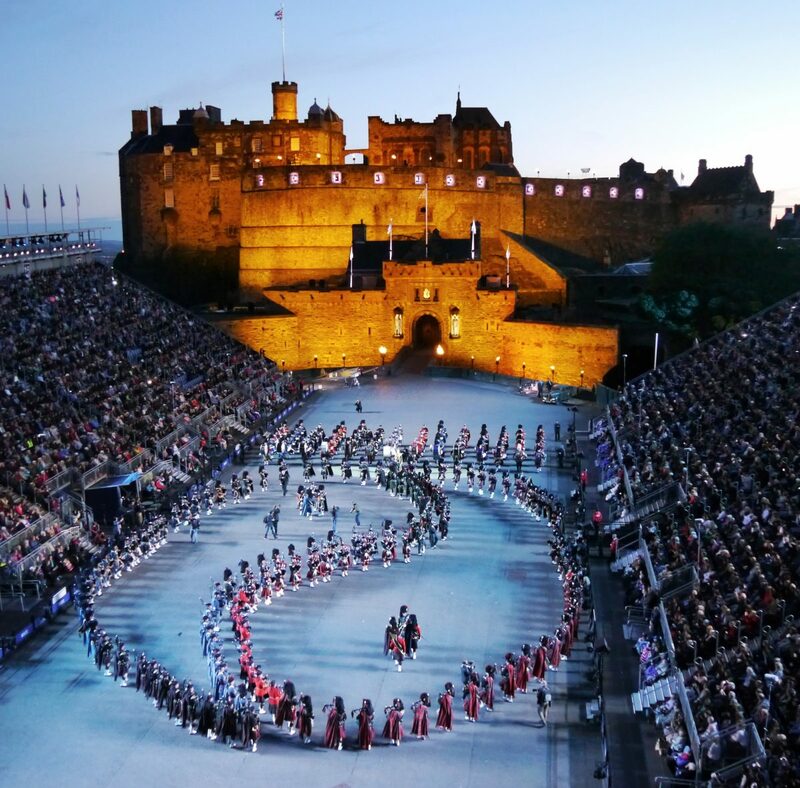 Set against the stunning backdrop of Edinburgh Castle, the Tattoo is always a sell-out and has been watched by millions over its 65 year history. Featuring a cast of over 1000 incredible performers, witness this magnificent spectacle of music, dance and precision display. The traditional Celtic Massed Pipes and Drums, Military Bands and Highland Dancers are joined by a selection of the best cultural and military performers from around the world. ** No performance on a Sunday.